I wanted to once again express my thanks for your hard work and dedication towards our 10 year old son Ryan. Although it was quite an undertaking to drive the 8 hours from Northland down to your office in Napier during January 2014 and then organising the 2 weeks accommodation and all the other bits involved for the condensed programme, it was really worth it! I have no regrets at all! There isn’t really anything as thorough and advanced as this in our region at all for Dyslexic children. Since the programme completion Ryan has continued to make great forward momentum in his schooling – in particular with spelling, reading and writing. In fact just recently, he was presented with a certificate for outstanding effort and progress in these very things at the school assembly. Ryan seems to have gained greater confidence in his overall abilities and has learned to incorporate the new skills you taught him into everyday practise. The school teaching staff, have made comments on his progress and were impressed with the advances in his work output. This programme is full of wonderful hints, activities, exercises, up-skilling ideas and provides a great springboard to move forward in your child’s education with. Certainly your child has to put in the hard yards and incredible effort to benefit from it, so they fully deserve the recognition given upon completion of the 10 sessions. Parents, caregiver and grandparent support is also invaluable in sharing the homework load and encouraging the child as they progress through the different levels within the programme stages. To anyone considering this programme, I can only say “go for it”. Tina is warm, friendly, patient, kind, caring, inventive, fun, magic with kids and very skilled in her role. As a side note I am also very happy to recommend the team of Chiropractors that work within the same office area, as Tina. Fiona did some corrective movements on Ryan’s neck, jaw, forehead, back and hips between appointments with Tina. After this realignment Ryan sat still more, held his head much steadier and was overall more centred in his posture. This team together are like the dream team – they solve many issues and in doing so offer much needed help to many families! Our son started school at 5, it quickly became apparent that he was not progressing like the other kids. With Dyslexia in both our families we had him assessed at the Alison Lawson Centre at the end of his first year at school. He was found to have visual dyslexia and while he was young to start the program Tina thought it would benefit him which it has. He is more confident, he has learnt his alphabet, his vowels, letter sounds, and has made a lot of progress with his numbers. His vision has been corrected, something I witnessed over the course of the treatment doing eye exercises with him at home. We feel like our son now has a better chance to do well at school and I feel better equipped to support him in a way that works for him. I would strongly recommend the Alison Lawson Centre to any individuals or families struggling with dyslexia. I felt I had to drop you a line to let you know how well Declan is doing. It has been about six weeks since we finished the programme with you and Declan is once again a happy and confident young man. As you well know, Declan was terribly upset in the classroom due to the frustration of not being able to complete work on time; copy words correctly from the board to his page; unable to get written ideas down on paper – yet all the time knowing in himself that he understood the work, could verbalise his understanding, but just could not explain why in terms of writing, or in maths, “show his working” that he could not put it down on paper. This same boy was crying at the mere thought of having to get his draft-writing book out and tackling the task before he’d even picked up a pencil. Once more, the happy, clever and quick-witted boy I once knew, has returned. He no longer needs to stay in during play and lunch times to finish work, as it is being completed during the periods. This in turn has seen his self-esteem grow along with friendships that due to his isolation to do catch up work, blossomed. My young boy, who would never join in team sports, has signed up for the chess tournament this term and for t-ball. His teacher reports that he remains very focused in the classroom but his output has grown exponentially. Work is finished and he is once again open to learning. His writing is starting to flourish. Declan has been fortunate to be supported by a great school and they had already been providing remedial spelling as this was identified as a weakness. The remedial teacher has commented that he has flown ahead and he is on “catch up” and is doing so quickly. When asked if the extra work was helping, Declan remarked it was and could explain why and provide examples. Previously he may have responded with a meek, “yes” or “no”. “Fast Facts” – which are 40 maths equations that has to be completed to a time every night has continued to be done. The difference, they are now completed within 2 to 5 minutes, down from 14 – 18 minutes. At home, we notice he chooses to pick up a book and read and no longer has any hesitation in reading different material that is offered. In the past, he would decline; look to excuse or be humorous about any reading task. Declan wore glasses as it was decided that these would take the strain out of tracking words when reading. He now no longer requires the glasses. Declan suffered headaches regularly. These are a thing of the past. When writing he would rest his head on his hand with the palm of his left hand often covering his eye. [“It’s easier to read like this Mum”]. This no longer occurs. It is exciting to see his growth and we know that he will continue to do so steadily as a consequence of him attending the Alison Lawson Centre under your guidance. Together with our family’s commitment to Declan and most importantly to his own resilience at sticking to the job at hand we know he will continue on a more positive learning path than recently. His handwriting may never be perfectly neat or his spelling 100% accurate, but he is always striving to be better than before in his own ability. We have explained that “dyslexia” is a diagnosis of why he has found it hard to learn, but also explained that it doesn’t mean he can’t learn. It is not a label but rather a small obstacle that he understands will require a little more effort than perhaps his peers have to face. Thankfully, the visual component of his dyslexia has, for want of a better word, been “cured”. I’m biased, but he really is an awesome, amazing fantastic and incredible boy! Thank you so much for all you have done for our son, giving him the gift of sight. Thank you so much for all the wonderful things you have done for our son. I had problems with my memory and my eye sight. I went to Tina for help. She tested my eyes and ears for problems. There she found my eyes were not to good. So we got started on the work I had to do to improve my eyes and ears We did some fun exercises, including wearing different coloured glasses on each eye to strengthen my eyes so they would work better with my brain. You spend ten weeks doing exercises with Tina and she gives you easy work that you have to do at home. Once the ten weeks are up she retests you to see how it is going. For me I improved a lot Tina and I were amazed.at how much I improved. My memory is better. I can see words on the whiteboard at school better and I can remember more than one instruction from the teacher at a time. Last week I got my school report and I scored Achieved with Merit in English, Maths and Science. Awesome. So give it a go and improve what ever your difficulties are. This has been a very beneficial program which has resulted in positive results. Although there was a certain amount of work involved, it is well worth it for the end result. Tina is fantastic, as well as being professional and accommodating, she is a genuine caring women who has been like a friend to us. We will miss our weekly get togethers. Taylor is 13 years old and in his first year at High School. I first picked up that he may have dyslexia when was in year four at primary school and he was diagnosed by Speld later on that year. It was also recommended he see a paediatrician as they thought he may also have Dyspraxia and ADD. He was diagnosed with both of these, I put him on fish oil to handle the ADD and the Dyspraxia has not really caused too many issues. He has had lots of extra help with reading through school, and he had done Speld/Sparks tutoring from year four to eight. While I could see little improvements, there was no major improvements and nothing long term. His reading writing, spelling etc would improve for a while but then go downhill again. He had major confidence problems as before he was diagnosed he was struggling quite a bit, and kids can be very mean, he was quite often called dumb by other kids. And the teachers were continuously making him stay in at lunchtime as he could not complete his work. He went from a very confident leader type pre-schooler to a very quiet shy moody boy. I heard about the Alison Lawson Centre through my sister who is a kindy teacher, and thought I would give anything a go to help Taylor out. Turns out to be one of the best things I could have done for him. By lesson five I could see Taylor who had always struggled to spell the simplest word, attempting and succeeding in spelling some very difficult words indeed, and just the biggest smile on his face as he was doing it. The boy who struggled to read anything and would avoid it at all costs was reading fluently, the tiniest words I could barely see. Taylor always had a big issue with copying of the board as he could only remember two words at a time, now he can remember a whole sentence at a time. He couldn’t wait to get to each lesson to see what he was going to learn, it was just all so fun he loved it. He has learned so much from the program, so many strategies on how to work things out. And I have also learned a few ideas on how to help him when he is struggling. As he progressed through the program you could see the confidence he was gaining it was incredible. My parents commented last night how Taylor has become more out going and cheeky, I am finally getting my boy back. Taylor is now so much more focused on what he is doing, he says it is just less of a struggle for him now. The progress made in ten weeks on the Alison Lawson Program is 10x greater than the progress made on the Speld program. 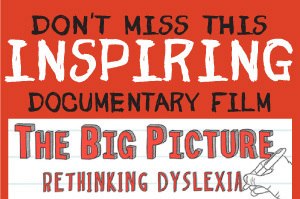 I would definitely recommend this program to any parent of a child with Dyslexia, it is worth every cent and more. And Tina is the most amazing teacher she really cares about the children and it shows, she puts so much into them. Taylor thought she was fantastic, and so did I. At the beginning of 2013 we brought our six year old son to see Tina at the Alison Lawson Centre after previously being told he had Dyslexia, Iren’s Syndrome and colour blindness. He had made no progress in his first year at school. We decided to do the program with Tina after we had researched all our options. My husband has Dyslexia quite badly and has been through all the different programs available without any success. He was quite open and keen to see what this program had to offer. After talking with Tina he was quite excited for us to put our son through this program as to him this was the first time anything on offer made sense. We found Tina was wonderful with our son and she was really patient and inspired him especially when he decided he couldn’t do it and was dumb. Not a word we use at home but he had heard from school. When he started he had no confidence in himself and didn’t want to go but after a couple of sessions we started noticing a difference. He came to us and told us he was getting a new brain and his eyes were getting better (as in his words ‘My eyes were broken). So he in himself noticed a difference. When he was about half way through the course in term one we decided to move him and his sister to a new school as we realised he would need support of the teachers after he had finished the course. Between Tina and his new teacher they gave him the confidence and the inspiration to keep trying and not to give up. After the course we decided to give him a term off to see where he was at. In one term he went up five reading levels. This was a child who didn’t make any steps in his first year at school and after the course did that. As parents we are over joyed with the outcome. He is now interested in reading and learning. We know we have a long way to go but we know that this program has put us in better stead for his future. Dad is now keen to do the program himself, now we have seen such good results in our son. We would recommend this program highly, over anything else we have seen. What a wonderful Program this has been for my ten year old daughter. She no longer knocks into objects, and has shown such a great improvement in Math, spelling, reading and writing. Now with her new found confidence she is able and willing to read aloud. She has more patience to work through problems. Her concentration has increased which helps her to stick to tasks, and she is seeing for herself more and more success. Tina has been a true ray of sunshine to our family and has become a wonderful role model for our daughter, who has a very strong bond/relationship with her. We could not of asked for more from Tina and the program. All the hours of work has paid off. A brief letter of recommendation regarding Mrs Lawson and her treatment especially of children with reading and visual difficulties. I can highly recommend her and her treatment of children, having sent two of my children, Stephen now aged 15 and Richard aged 13 to her care. They both had severe reading problems with ongoing learning difficulties. With her careful patience and care, advice and treatment they were given 6-10 courses of treatment have both progressed very well and are now reading normal for their age and their consequent learning difficulties are gone. Thus in conclusion I highly recommend her from a clinical point of view, in my work in the medical profession, and also on a personal level because of her treatment for what I consider to be quite difficult cases. I am writing to say how much we have appreciated your work as an Orthoptist in connection with our son, Simon. As you know, he has been suffering from dyslexia all his life, with reading, sequences and writing disabilities. Needless to say, this has also affected his level of comprehension. Before we heard of you from a friend, we did not know what a Orthoptist was nor the developments which are in practice to help people like our son. It is a tragedy that your profession keeps such a low profile knowing that some 10-20 per cent of the population suffers from varying degrees of dyslexia and associated reading problems. After only seven sessions you have performed a miracle! Simon is now able to read better and faster, his school subjects in year 10 are improving, especially a noteable difference in Maths. As you know, he is a keen basketball player and even his shooting and court vision are noticeably better. All of this augers well as he is about to take on Year 11 and 12 and the HSC. His confidence has increased and he can now look forward to a more positive future knowing his eyesight and connecting brain function have been corrected. Thank you so much for your encouragement – your dedication is a credit to your profession.